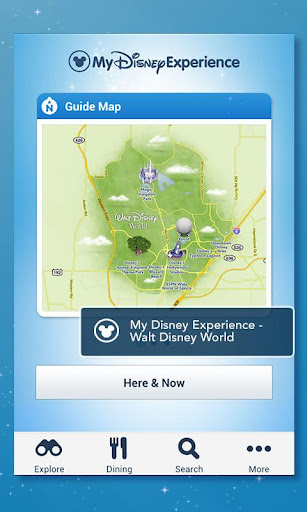 Walt Disney World Resort might be home to the Most Magical Place on Earth®, but with 30,000 acres and millions of visitors every year, it's awfully easy to have a bad day there. 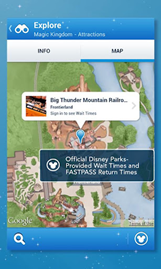 To that end, Disney has released its very own guide app, covering all four theme parks and the various satellite tourist areas around Disney World. 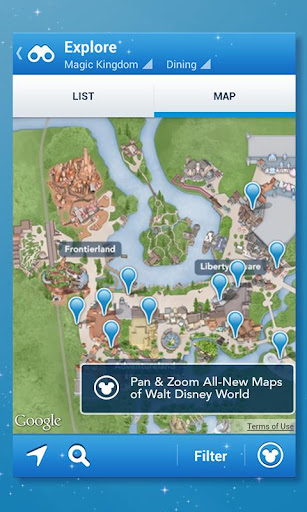 The most useful feature is probably the detailed maps, complete with annotations for rides, shops, restaurants, et cetera, and GPS tracking to help you find your way around. (Incidentally, they'll also point you to the nearest restrooms.) 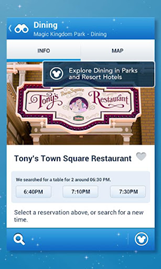 You can even make a reservation at one of the restaurants without leaving the app. 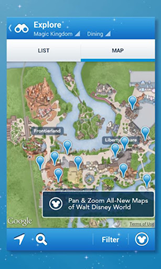 Among many other features are guides to recurring shows, approximate times for Disney character appearances (because even Goofy has stalkers), and a wish list for keeping track of your destinations. 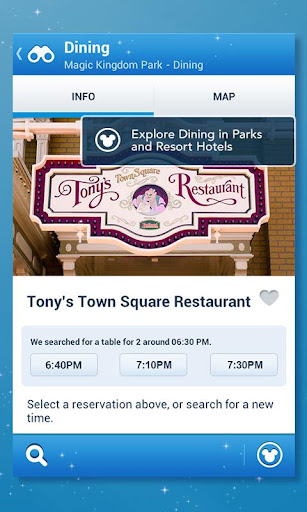 But one feature will stand out for anyone whose taken an Orlando vacation during the summer: wait times. 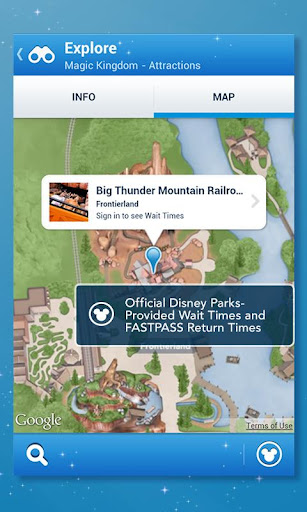 The app ties in to the popular FastPass system to approximate how long it'll take to get through the lines at the most popular attractions. Space Mountain overcrowded? Save it for later and take another spin around the Haunted Mansion. Verizon customers are the only ones who can access the video clips embedded in the app, though that hardly seems a compelling addition - you're already at the park, after all. 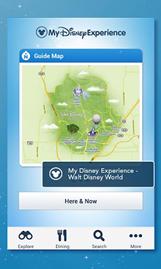 For the moment, Disney World in Orlando is the only park that's supported with an official app. It's a free download from the Google Play Store for any device running Android 2.1 or later.